Tywan Anthony is an experienced real estate professional. As an Associate Broker at Compass, he brings years of knowledge in commercial assets, property management, and investment strategies. Getting his start in property management and working for both residential and commercial owners and developers, he has managed all asset classes throughout the United States and has held executive level positions for various real estate development companies. 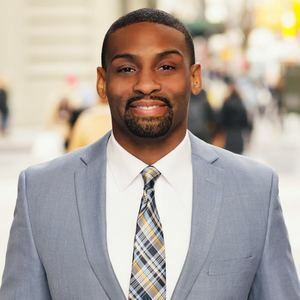 In addition, Tywan is a real estate instructor for multiply institutes including Baruch College, Medgar Evers College, and the Real Estate Education Center. Specifically, he teaches courses related to property management, commercial real estate, the effects of economics in real estate and the salespersons course. The New York Crusaders is the non-profit organization that Tywan founded 5 years ago, focusing its effects on healthy living and fitness through football. While serving as the current president, he plays outside linebacker for the adult tackle portion of the organization and insures that the organization continues to grow by helping the youth, young adults, and older adults maintain healthy lifestyles through physical fitness. Being rooted in community, Mr. Anthony serves as Chairman of Economic Development for Community Board 3, Bedford Stuyvesant, located in Brooklyn, NY. Within Bedford Stuyvesant, he has worked with organizations such as the Bed-Stuy Real Estate Board and the NAACP. Tywan is a huge fan of both real estate and football and lives his life according to just that!